Your content distribution strategy should be as unique as your brand. Find out all your options when creating your perfect strategy to make sure that your brand and content gets the attention it needs. It’s important to identify your content marketing goals. Do you want people to read your content to build brand awareness? Do you want your content to drive leads or increase user engagement? Is one of your goals to have people visit your site even if they’re not making purchases every day? Or are you looking to build a relationship with them through your newsletters? Who are you trying to reach? Are you more interested in talking to your current customers or prospective customers? What is your age demographic? Are you talking to millennials who will grow into your brand or senior-level executives who can make purchasing decisions for their organizations? You need to be able to go where your audience is and speak to them in a language they can understand. This means you’ll need to identify how and where they engage with content, and then incorporate that information into your strategy. If you’re looking to connect with senior executives, you’re not going to do that through Facebook. Mold to their needs and try a targeted email campaign. Once you’ve been able to answer these questions, you’ll be ready to develop your perfect content distribution strategy. You’ll also be prepared to decide what kind of strategy you want to work with, paid or organic. Paid distribution works best for brands looking to attract reliable sources to their content. You’re launching a new campaign and are looking to build awareness and critical mass around it. You’ll be introducing a new product, event, or service. You’re wanting to boost the views of high performing content. You’ll have to remember that paid promotion results aren’t sustainable unless you continue to keep paying for them. This is why a paid content distribution strategy can be beneficial and should be used strategically. That being said, an advantage of paid content is the ability to measure the results of your paid content distribution strategy, and you’ll be able to easily estimate the traffic you will be receiving. This is not something you can do with the audience of an organic strategy. If you decide to use search PPC, your brand will be paying for keywords to show up as sponsored results when people search for them. The most well-known PPC network is Google AdWords, although there are others like Bing and Yahoo! search ads. The other option is content PPC. This type uses content discovery networks to get noticed. They advertise articles and videos on websites through widgets. Outbrain and Taboola are some of the bigger content PPC networks. Invest in strong copy. Think about what your users will be searching for and purchase those terms. Use active language and Calls to Action. This will help you to stand out. Promote high-quality content with clear steps. Once you reach new people, you need to find a way to build a relationship with them. High-quality content will help your brand stand out and get more users to take action by signing up for your newsletter. A social media content distribution strategy will only reach specific segments of users. Additionally, social media advertising varies between platforms, and your success can depend on how you allocate your budget. Are you generating awareness around a new service or product? Or are you trying to improve lead generation? Do you want to spread spending over your entire campaign or are you looking for a quick win? Which networks does your audience spend most of their time on? Facebook is one of the largest social platforms that allows you to engage with your target audience. Facebook’s paid features allow you to create and personalize your ads with your brand goals. Facebook allows its audiences to be segmented based on demographics, network, interest, and behavior. Ads run on the right-hand column on a desktop, and in the News Feed on mobile devices. Twitter is a real-time social network that reaches 320 million monthly active users. Twitter allows you to target ads based on demographics, interests, keywords, and behavior. This social network has over 300 million daily users and is a visually focused network. Consequently, if you want to run an ad on Instagram it needs to be striking with its photos or video. Instagram is owned by Facebook, so to use it you’ll need a Facebook page and a Facebook ad account. Instagram offers the same targeting options as it’s parent company Facebook, but it does offer four different formats for its ads: photo, video, carousel, and stories. Text and visuals matter. Use visually completing images and write attention-grabbing text. Optimize your campaign while it’s running. Check the analytics of your campaign during its length and optimize it to get the best performance. Use paid social media to generate leads. Have a plan in place to start a relationship with the new users you get. The biggest perk of organic distribution is that it is free. That’s right, free. It refers to the channels you can use to build and engage your audience that doesn’t cost anything extra. The most popular organic content distribution strategies include email, social media, YouTube, and Search Engine Optimization (SEO). To build your own email database, simply capture visitor information when they’re joining your newsletter, downloading an eBook, or accessing gated content. Structure this form to request specific information about job roles, industry, and budget. This will give you a deeper insight into your audience to send out tailored content that is specific to their needs. Google Analytics can help you to make sure that your email campaign is working. Optimise your forms to request only information that is relevant and beneficial to you. Tailor your content to take a personal approach with each interaction to create feelings of trust and credibility. Try out different pop-up forms on your site to determine what will entice your visitors more. Regularly sharing updates and posting new content can keep you fresh in your follower’s minds even if they’re not ready to purchase a product or invest in a service. 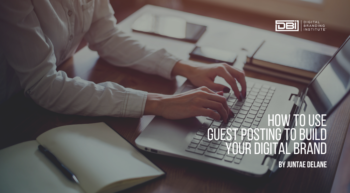 Your activity can be advantageous because it gets you involved in conversations that allow you to connect with customers and offer helpful content. It can also give you a good idea of how your brand is perceived. YouTube is the second largest search engine. It makes sense that it would be a great site to build your brand on. Your goal when using YouTube should be to gain a lot of attention and drive that audience back to your website. SEO lets you pick keywords from your content to help it rank higher in search engines. A targeted keyword strategy will help search engines determine what your content is about and how relevant it is to users. Building your perfect content distribution strategy is a unique process. You will have to determine whether you want to have paid or organic reach, and this will depend strictly on what kind of audience you are looking to have. 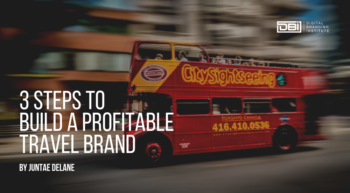 These quick tips will make sure that whichever strategy you choose for your brand will be well thought out and successful. What’s your content distribution strategy? Does Your Brand Really Need a Website?